Post his marriage, Naga Chaitanya had got committed to star in multiple films, with the first of the lot being the Chandoo Mondeti directorial Savyasachi and the Maruthi directorial Sailaja Reddy Alludu. Initially, Chaitanya had began shooting simultaneously for both the said movies, without disrupting the shoot of both the movies. However, due to a delay in the plans made by Savyasachi makers, the shooting of Maruthi movie also got affected, and Maruthi was reportedly requested by team Savyasachi to wait till Savyasachi shoot was completed. However, the shoot is yet to be wrapped, and Maruthi was waiting for Chay. 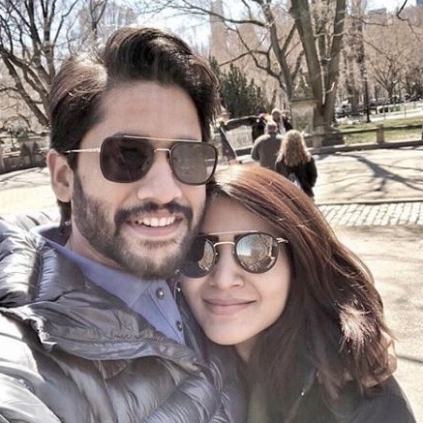 Maruthi had also been troubled by the fact that, Chay and Sam had left to US on a vacation trip, and Maruthi has wrapped two schedules, and still waiting for more than 45 days, for Chay to show up. Due to this delay by Chay and Savyasachi, Maruthi's next projects with Geetha arts and Indira productions have also got delayed.